UPDATED: Tue., Jan. 22, 2019, 5:46 p.m. The former owner of one of Spokane County’s largest marijuana producers had his bid to take back his company denied by a judge Tuesday. But Cip Paulsen still has a path to reclaim the business that was stripped by the courts last fall amid concerns from investors about mounting debts and new criminal charges. He said Tuesday he intended to do just that. A trio of investors in Paulsen’s pot business, Growstate, sued to dissolve the firm in November, arguing Paulsen hadn’t provided them with updates on their investments and that new drug charges could result in Washington state taking away his ability to sell the drug. Paulsen, through an attorney, argued in court last week that he’d been punished without a criminal conviction on the new charges and that he was on a path to making the business profitable when the court prematurely stripped him of ownership. Cooney agreed in part, denying on Tuesday a motion from the investors to freeze Paulsen’s access to the assets of his business. However, the company remains in the hands of a court-appointed receiver, who is working to pay off the millions of dollars in debt the business reported. More than half of that total is money Paulsen said he’s put into Growstate himself through the use of personal credit cards, which explained the ledger of business-related expenses submitted in court that included bar tabs and other charges, his attorney argued. The fate of the company, which Paulsen launched with fanfare in 2014 during the initial round of business licensing through the Washington Liquor and Cannabis Board, is one of the more public examples of complaints being raised by pot producers that there’s too much of the drug in the market and too many regulatory costs for businesses to be profitable. “It’s been a very difficult business to be in, and most every producer/processor, very few are making money,” Paulsen said. But the potential trouble for Paulsen goes beyond margins and a flooded market. He pleaded guilty to a misdemeanor charge of driving under the influence in Kootenai County Court in December, and faces two felony drug possession charges from a traffic stop in Spokane County last winter. Convictions or guilty pleas in those cases would put Paulsen over the threshold for state regulators to strip him of his license based on criminal activity, argued Brook Cunningham, the lawyer representing Paulsen’s investors. “Mr. 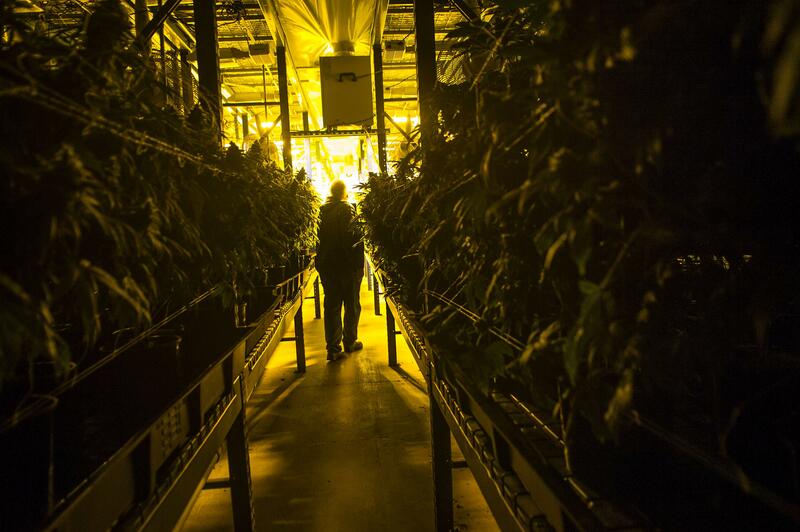 Paulsen, as manager of Growstate, has simply run the company into the ground,” Cunningham said. But Cooney ruled that argument had been made too hastily by the investors. Washington state law says the Liquor and Cannabis Board may revoke a license if the criminal conviction threshold is met, not that it must. Cooney wrote that attorneys for the plaintiff had misstated the law when arguing for the initial freeze on assets. Paukert said Tuesday he still is reviewing the ruling with Paulsen and would decide next steps after that. He said all options are on the table, including a potential settlement between the investors and Paulsen. “In any case, the best way to get out of a litigious case is for the parties to get together and figure a way out of it, rather than fighting it out in the courts,” Paukert said. Paulsen said the investors had been friends of his for years before the legal action. Published: Jan. 22, 2019, 4:58 p.m. Updated: Jan. 22, 2019, 5:46 p.m.